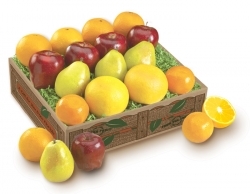 Can’t decide your favorite Key’s tropical flavor? Try all eight! 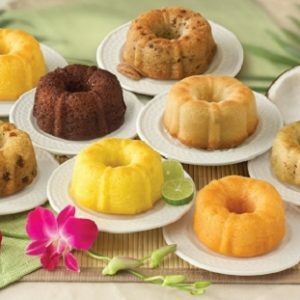 Our single-serving mini bundt cakes are perfect as individual desserts. Sample one each of Key Lime, Sunrise Orange, Chocolate, Chocolate Chip, Island Rum, Captain’s Chocolate Chip, Calypso Coconut, Cabana Banana Nut and Key Largo Lemon. Each 4 oz. mini bundt cake is individually wrapped and boxed. Give me five! 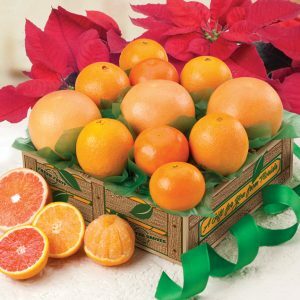 Five favorite Florida flavors in one premium gift box: Ruby Red Grapefruit, Navel Oranges, Scarlet Navel Oranges, easy-to-peel Tangerines and sweet Mandarins. This is an amazing selection of Florida sunshine. They’ll absolutely love this gift!